Son O’ Will goes Super Saiyan in new music video!! Yami Yugi chuckles in his throat. He has dealt with intimidation from dark forces before. “You already know my answer, Osiris,” he replies. “Heh, yes. You will press onward. But what of your comrades?” said Osiris grinning. “Yeah! So bring it on! I haven’t had any fun yet!” Yu added. “Bring it on!” Gingka shoots back. “Looks like I’m up,” said Yu. “You can do it, Yu,” Gingka says to him. “I got this,” Yu smiles brightly. He then trots up to the stadium. The taller Nile Sister, Neferiah, is already standing there waiting. She nearly has to crane her neck just to stare down at the blonde haired boy. Yu is not intimidated, however. She may be taller than him but she is just another blader in his eyes. He will battle her the same as any other blader. He looks up at her with a snide grin. Neferiah glares down at him. She has no regard for Yu, or any blader who faces her for that matter. “Heh, I wouldn’t underestimate me,” Yu says back with his usual smirk. Removing Flame Libra from its holder, Yu locks it into the launcher. “Let’s get ready to have some fun!” Yu says aiming his launcher. “Very well. But understand one thing, I will not be holding back. Not that it will make a difference,” said Neferiah with a hollow tone. “Oooh, I’m so scared,” Yu taunts. Yu and Neferiah alternate counting down from three before jointly saying, ‘Let it rip’ as they yank on the ripcords of their launchers, shooting their beys into the stadium. Neferiah commands Golden Scarab to charge forward. Yu answers back with Libra. The beys attack each other repeatedly with fierce clashes. Yu watches Golden Scarab carefully, seeing how it moves as he gauges Neferiah’s battling style. He is a genius blader so this is not a difficult task for him. Neferiah does the same. She has learned about Yu once being a part of the Dark Nebula Organization until he was betrayed. She also knows how strong a blader he is, not that this matters to her. Neferiah will defeat him all the same. Inside the barrier, Benkei has been greeted by Yugi’s friends Jonouchi, Anzu and Honda. He delivered the message Yugi gave him, telling them not to worry and that Osiris and his servants will be beaten and they will be set free. Jonouchi smiles. “That’s Yuge for ya. He’s always putting others ahead of himself,” he says. “And Gingka’s the same way too,” Kenta adds. “Don’t worry about it, Benkei. You did your best,” said Madoka. “Madoka’s right. You shouldn’t beat yourself up over it. I’m sure Gingka, Yu and Yugi know that you fought hard and gave it your all,” Anzu tells him. Madoka and Anzu smile back at him. “Yep, and all of them to Kaiba,” Honda commented. “And the same goes for me too,” says Kenta. “That’s the spirit, Kenta,” replies Jonouchi with a big grin. “Hey, let’s check out Yu’s match. See how he’s doing,” suggested Kenta. They look at Madoka who has been keeping a watch on Yu’s battle with her minicomputer. Kenta asks how Yu is doing in his battle against Neferiah. “He’s doing all right so far,” she replies. “Osiris’ guys seem pretty tough, you sure the little guy can handle it,” asks Honda. “Yu is pretty tough himself. One time, he defeated a hundred bladers all on his own,” Madoka tells him. 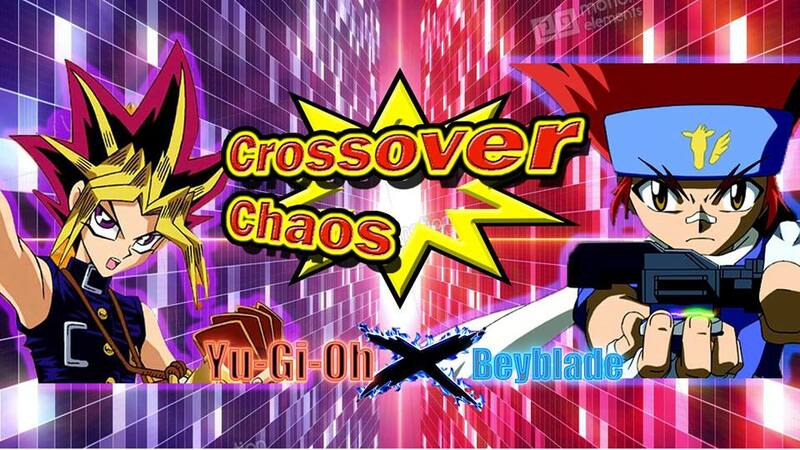 Find out how Yugi came to the world of Beyblade with the links below!! Check out my other fan fiction!! Want to know how their second assignment started?! Click the links below! !